A man was arrested early Sunday and charged with murder in the strangulation killing a 45-year-old nanny, whose body was discovered a week ago floating in the lake of a New Jersey park where she went jogging, authorities said. 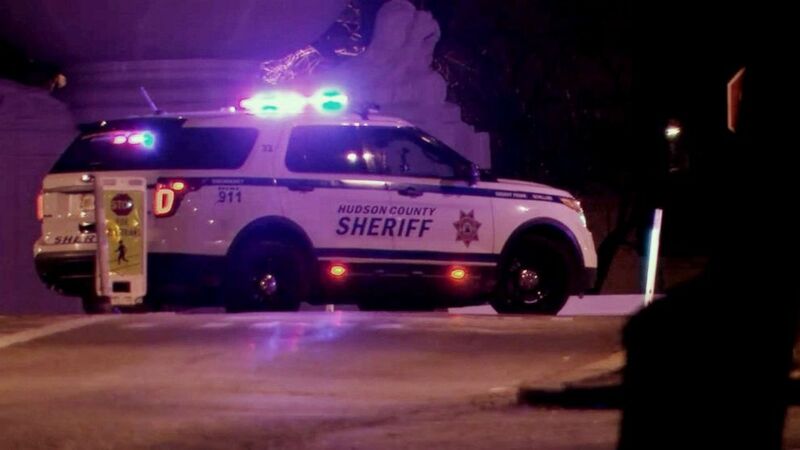 Jorge Rios, 33, of Jersey City, was taken into custody by members of the Hudson County Prosecutor’s Office Homicide Task Force as a suspect in the killing Carolina Cano, who was found dead in Lincoln Park in Jersey City, Hudson County Prosecutor Esther Suarez announced on Twitter. No further information was released on what led investigators to arrest Rios, who was being held at the Hudson County Correctional Facility in Kearny. (WABC) The body of Caroline Cano, 45, was found in a lake in Lincoln Park in Jersey City, N.J.
Rios was charged with murder, kidnapping and aggravated sexual assault, Suarez said in a statement following the arrest. The body of Cano, a native of Peru who was living in Jersey City, was found about 7:30 a.m. on March 24 after she had gone out on her daily morning jog before church, police said. Police suspect that during her run in Lincoln Park, she was attacked, killed and her body was disposed of in the lake. Four days after Cano’s body was recovered, the Regional Medical Examiner’s Office in Hudson County ruled her death a homicide, prosecutors said, though they initially declined to release more information on the manner of death. A law enforcement source told the Jersey Journal newspaperthat the medical examiner found signs of strangulation on the victim’s neck. Cano, who lived a few blocks from Lincoln Park, went for a jog every morning before going to her job as a nanny or to church, her roommate told ABC New York station WABC-TV. One of Cano’s neighbor, Frankie Ramos, said members of the woman’s church congregation became worried about her when she didn’t show up at Sunday services and started searching for her. Ramos said his wife was calling hospitals in the area when word came that a body was found in Lincoln Park. Authorities say surveillance camera footage recovered by investigators showed Cano entering the park alone between 5:45 a.m. and 5:50 a.m. The video shows her jogging in the park and walking into a dark area of an open field. She disappears from view into the shadows and never reemerges on any surveillance cameras.